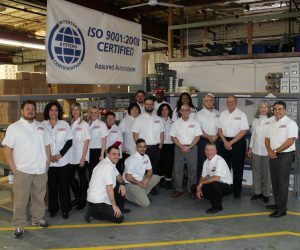 Watch Assured Automation’s new video that highlights the company’s configurators and employees. For over 30 years Assured Automation has been dedicated to making valve automation easy for our customers in all industries. Our product line which includes manual and automated valves of all types and materials along with a complete line of actuators and accessories. We Make Valve Automation Easy! 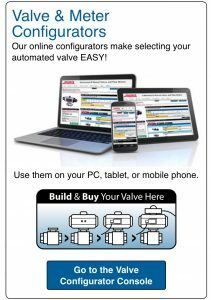 The unique online valve configurators at assuredautomation.com allow you to quickly and easily specify a complete automated valve assembly including valve, actuator & accessories. No need to wait for a quote; pricing appears instantaneously as you make each selection and add each accessory. In fact, you can purchase the assembly after you complete your configuration. Once you check out, the shop pulls the components from our extensive inventory and your assembly is built to order. Assemblies that use standard components will be built, tested and shipped the same day. Our capabilities extend far beyond these standard assemblies, a large part of our business is providing custom valve assemblies for unique applications. Our experts will work with you from start to finish to develop a solution that best fits your application. We provide CAD models for your review before any investment in product is made. Large projects such as new plant builds and system upgrades or expansions are another area where our customers benefit from our experience. Let our valve experts help you complete your next project with confidence. The quality products that we provide are great but what really sets Assured Automation apart from the competition is our people. Our team consists of many experienced members and quite a few have been with us for over 25 years. We are always willing to go the extra mile to help you find the best solution for your valve automation project. Our customers have shown their confidence in our team here at Assured Automation by returning time and time again as they grow their businesses. We appreciate that confidence and look forward to making “valve automation easy” for you.